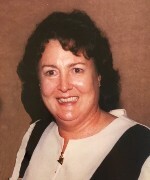 Julie Marie Childers, nee Eichenseer, 66, of Belleville, IL, born November 15, 1951, in Belleville, IL died Monday, July 30, 2018, at St. Anthony’s de Greeff Hospice House in St. Louis, MO. Julie was a retired flight nurse for Arch Air Medical, providing loving care to patients for over 30 years. Julie loved spending her time outdoors boating and relaxing at their house on Table Rock Lake. During her first trip to Tampa, she found her love for manatees. Since then, she has been a proud member of Save the Manatee Club. She devoted and loved spending her time with her grandchildren. From tubing with them at her Lake Home on Table Rock Lake, visiting their schools for special events and to spending quiet quality one on one time with each of them. She was a positive influence for each of the grandchildren and will truly be missed. Julie was preceded in death by her mother, Mary Beth Eichenseer nee Frees; her grandparents, Walter and Viola, nee Gundlach, Frees; and her brother and sister in law, Timothy Michael and Joan Marie, nee Wessel, Eichenseer. four grandchildren, Donald Keith Thomas III, Mia Anne Digirolamo, Ava Marie Digirolamo, and Drue Valenti; her father, Irvin “Bud” Eichenseer of Belleville, IL; and her siblings, Vicki (Bert Sr) Agor, Terry (Kate) Eichenseer, Mark (Jayne) Eichenseer, Mary Lynn (Dan) Belz, and Ann Eichenseer. A private Burial Ceremony will be will be at Green Mount Catholic Cemetery followed by a Celebration of Life with close friends and family at The Shrine, Belleville, IL. Thank you Julie for everything . You are a good friend, and I will miss you. The trivia nights with you are the best in the world because of you . I love you my friend. Prayers sent t you & your family. May your heart and soul find peace and comfort. Stephanie and Laura your mother was one of “those women” who come into your life and every time you think of them you smile.. My most sincere condolences. May God's loving kindness comfort you and strengthen you through this very grievous time Psalms 29:11"
I remember that smile and how much fun she was to be around , and always wanted to have a great time . Again so sorry for your loss. I am truly sorry for your loss. I flew with Julie at the Sparta when I was with Arch in 1997-1998. She was very special RN and person and I know that she is now in a very special place. May God bless. Sending condolences, love and prayers to each of you! She was one of a kind and will be dearly missed. She was beautiful, intelligent, fun loving and extremely devoted.